In Chapter 14, we learned that electric currents generate magnetic fields, and we will now see how magnetism can generate electric currents. The figure below shows a conducting wire of length ℓ, moving with constant velocity v in the plane of the page through a uniform magnetic field B that’s perpendicular to the page. The magnetic field exerts a force on the moving conduction electrons in the wire. 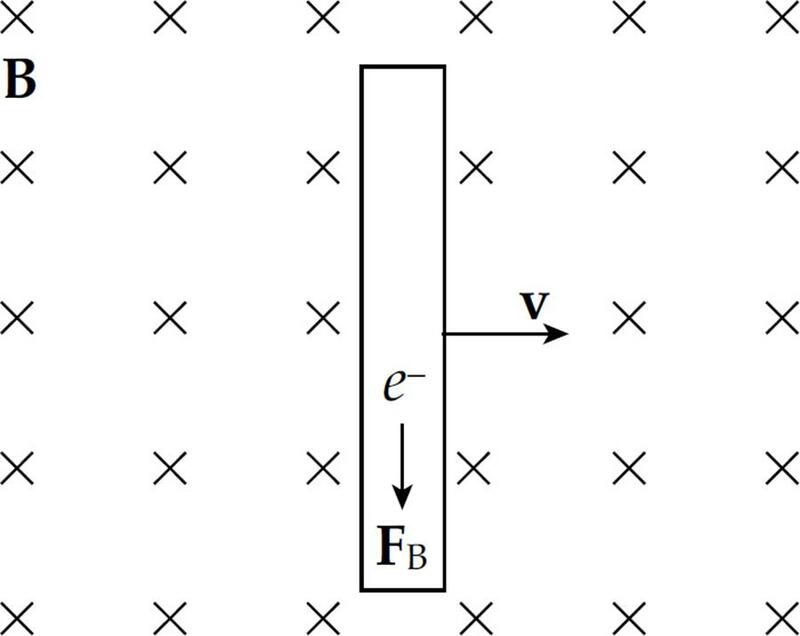 With B pointing into the page, the direction of v × B is upward, so the magnetic force, FB, on these electrons (which are negatively-charged) is downward. As a result, electrons will be pushed to the lower end of the wire, which will leave an excess of positive charge at its upper end. This separation of charge creates a uniform electric field, E, within the wire (pointing downward). If q is negative, FE is upward and FB is downward; if q is positive, FE is downward and FB is upward. So, in both cases, the forces act in opposite directions. Once the magnitude of FE equals the magnitude of FB, the charges in the wire are in electromagnetic equilibrium. This occurs whenqE = qvB; that is, when E = vB. 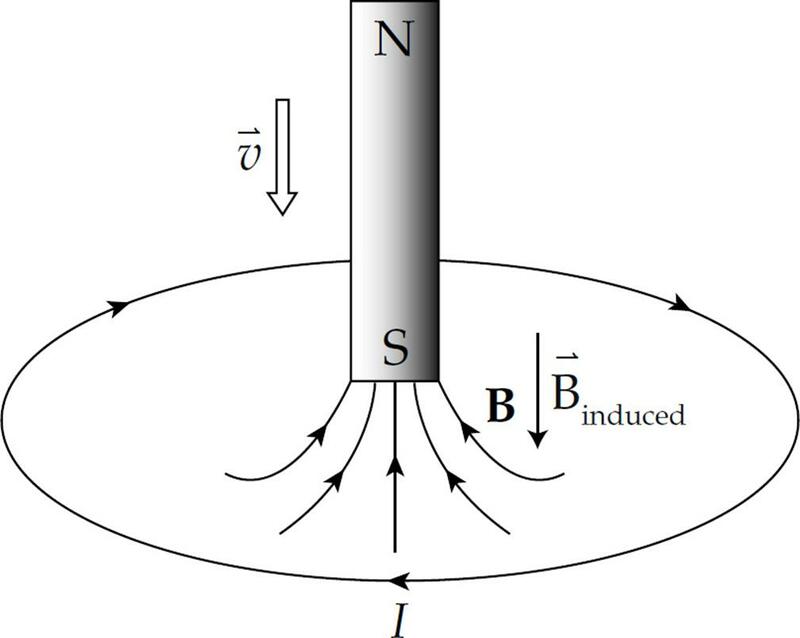 The presence of the electric field creates a potential difference between the ends of the rod. Since negative charge accumulates at the lower end (which we’ll call point a) and positive charge accumulates at the upper end (point b), point b is at a higher electric potential. The potential difference Vba is equal to Eℓ and, since E = vB, the potential difference can be written as vBℓ. Now, imagine that the rod is sliding along a pair of conducting rails connected at the left by a stationary bar. 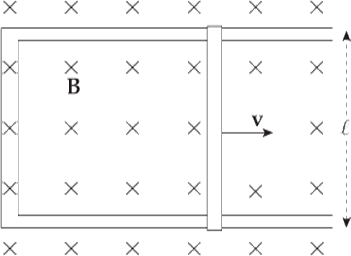 The sliding rod now completes a rectangular circuit, and the potential difference Vba causes current to flow. The existence of a current in the sliding rod causes the magnetic field to exert a force on it. Using the formula FB = I(ℓ × B), the fact that ℓ points upward (in the direction of the current) and B is into the page, tells us that the direction of FB on the rod is to the left. An external agent must provide this same amount of force to the right to maintain the rod’s constant velocity and keep the current flowing. The power that the external agent must supply is P = Fv = Iℓ Bv, and the electrical power delivered to the circuit is P = IVba = Iε = IvBℓ. Notice that these two expressions are identical. The energy provided by the external agent is transformed first into electrical energy and then thermal energy as the conductors making up the circuit dissipate heat. Electromotive force can be created by the motion of a conductor through a magnetic field, but there’s another way to create an emf from a magnetic field. Think back to Chapter 11 and electric flux. The electric flux through a surface of area A is equal to the product of A and the electric field that’s perpendicular to it. That is, ΦE = E⊥ A = E · A = EA cos θ. If E varies over the area A, then we write ΦE = ∫E · dA. 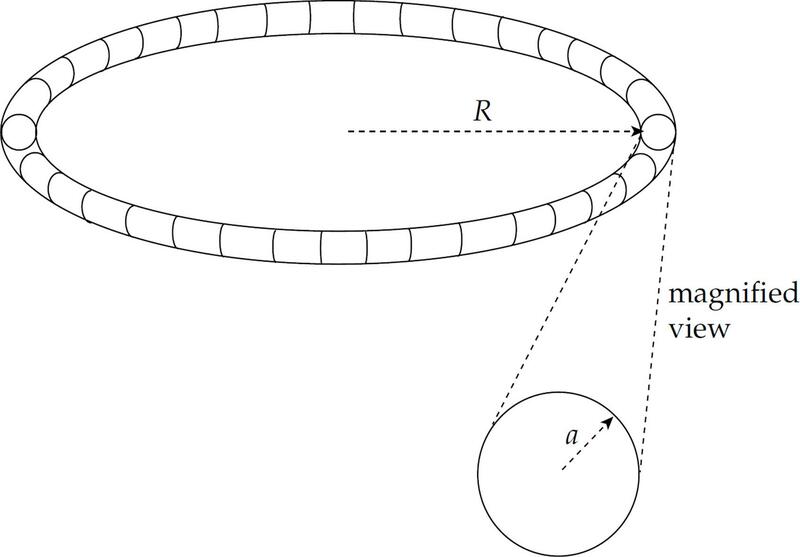 Example 1 The figure below shows two views of a circular loop of radius 3 cm placed within a uniform magnetic field, B (magnitude 0.2 T). (a) What’s the magnetic flux through the loop? (b) What would be the magnetic flux through the loop if the loop were rotated 45°? (c) What would be the magnetic flux through the loop if the loop were rotated 90°? The SI unit for magnetic flux, the tesla·meter2, is called a weber (abbreviated as Wb). So ΦB = 5.7 × 10–4 Wb. (c) If the angle between B and A is 90°, the magnetic flux through the loop is zero, since cos 90° = 0. Example 2 The circular loop of Example 1 rotates at a constant angular speed through 45° in 0.5 s.
(a) What’s the induced emf in the loop? (b) In which direction will current be induced to flow? 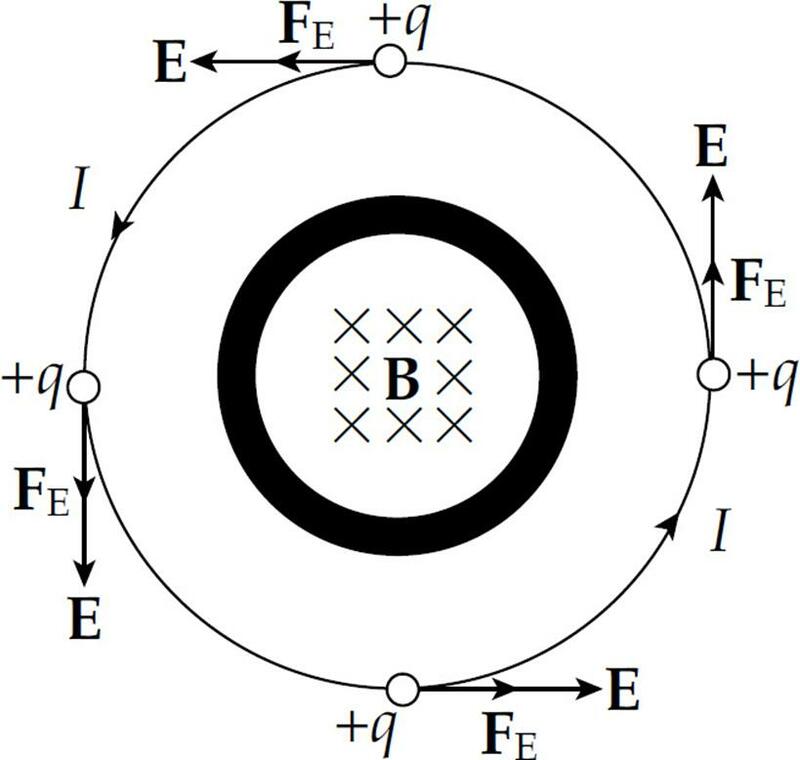 (b) The original magnetic flux was 5.7 × 10–4 Wb upward, and was decreased to 4.0 × 10–4 Wb. So the change in magnetic flux is –1.7 × 10–4 Wb upward, or, equivalently, ΦB = 1.7 × 10–4 Wb, downward. To oppose this change we would need to create some magnetic flux upward. The current would be induced in the counterclockwise direction (looking down on the loop), because the right-hand rule tells us that then the current would produce a magnetic field that would point up. The current will flow only while the loop rotates, because emf is induced only when magnetic flux is changing. If the loop rotates 45° and then stops, the current will disappear. Find the induced emf and the direction of the induced current in the rectangular circuit. We can figure out the direction of the induced current from Lenz’s law. As the rod slides to the right, the magnetic flux into the page increases. How do we oppose an increasing into-the-page flux? By producing out-of-the-page flux. In order for the induced current to generate a magnetic field that points out of the plane of the page, the current must be directed counterclockwise (according to the right-hand rule). Note that the magnitude of the induced emf and the direction of the current agree with the results we derived earlier, in the section on motional emf. This example also shows how a violation of Lenz’s law would lead directly to a violation of the Law of Conservation of Energy. The current in the sliding rod is directed upward, as given by Lenz’s law, so the conduction electrons are drifting downward. The force on these drifting electrons—and thus, the rod itself—is directed to the left, opposing the force that’s pulling the rod to the right. 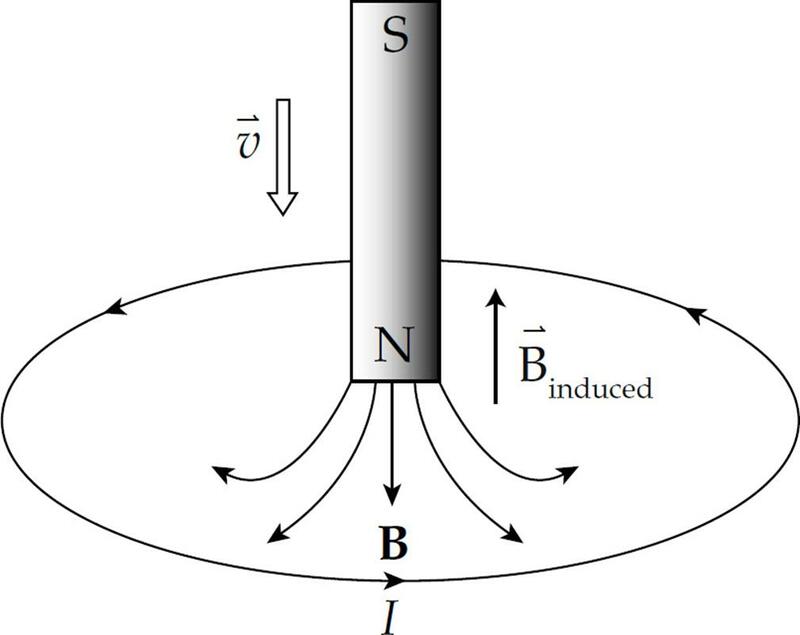 If the current were directed downward, in violation of Lenz’s law, then the magnetic force on the rod would be to the right, causing the rod to accelerate to the right with ever-increasing speed and kinetic energy, without the input of an equal amount of energy from an external agent. 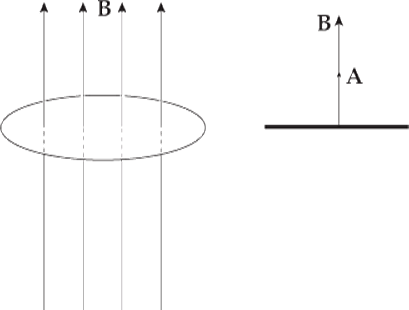 (a) The figure below shows a bar magnet moving down, through a circular loop of wire. What will be the direction of the induced current in the wire? 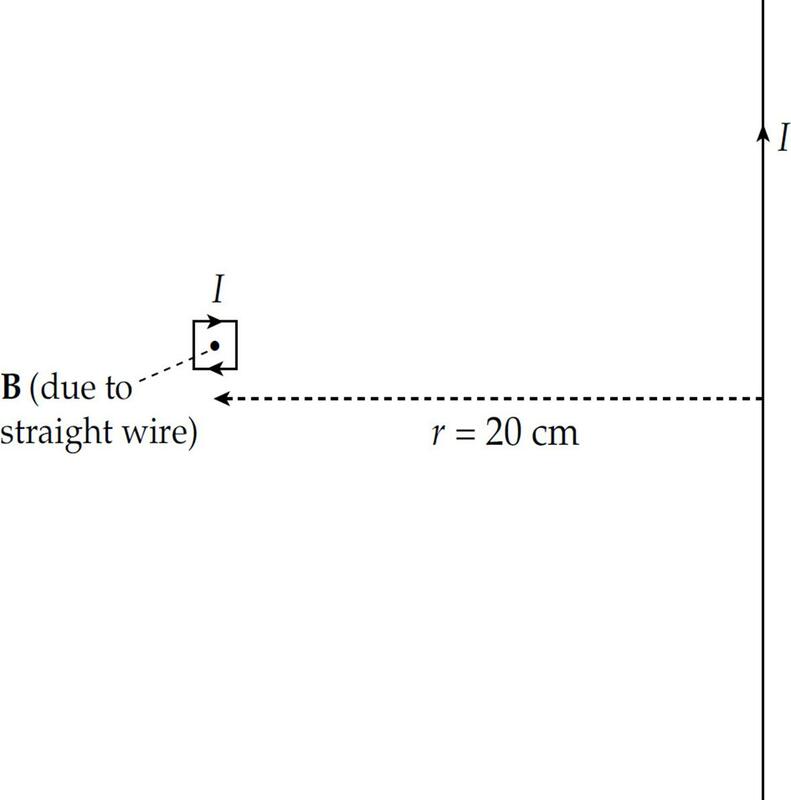 (b) What will be the direction of the induced current in the wire if the magnet is moved as shown in the following diagram? The magnetic flux through the loop is out of the page and increases as the current in the straight wire increases. To oppose an increasing out-of-the-page flux, the direction of the induced current should be clockwise, thereby generating an into-the-page magnetic field (and flux). Example 6 A rectangular loop of wire 10 cm by 4 cm has a total resistance of 0.005 Ω. It is placed 2 cm from a long, straight, current-carrying wire. If the current in the straight wire is increased at a steady rate from 20 A to 50 A in 2 s, determine the direction of the current induced in the rectangular loop. Integrating from x = r to x = r + ℓ gives the total magnetic flux through the loop. At the position of the rectangular loop, the magnetic field due to the straight wire is directed into the plane of the page. So, the magnetic flux through the loop is into the page and increases as the current in the straight wire increases. To oppose an increasing into-the-page flux, the direction of the induced current will be counterclockwise, generating an out-of-the-page magnetic field (and flux). 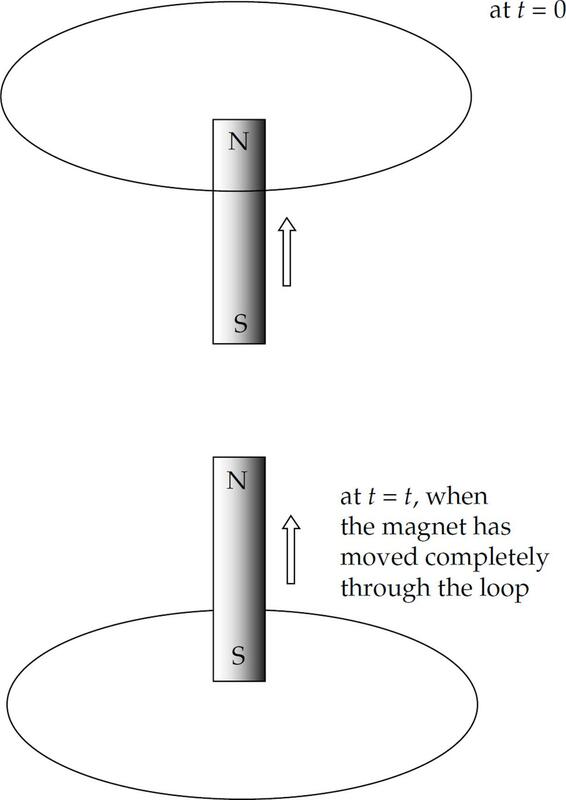 In Examples 4, 5, and 6, an electric current was induced in a stationary conducting loop by a changing magnetic flux through the loop, but what was the source of the force that pushed these charges around the loop? It was not the magnetic force, because the loop was stationary. It must therefore have been an electric force that was produced by an electric field. The changing magnetic field produced the electric field, which acted on the free charges in the conducting loop and caused the current. Let’s look at a specific situation. 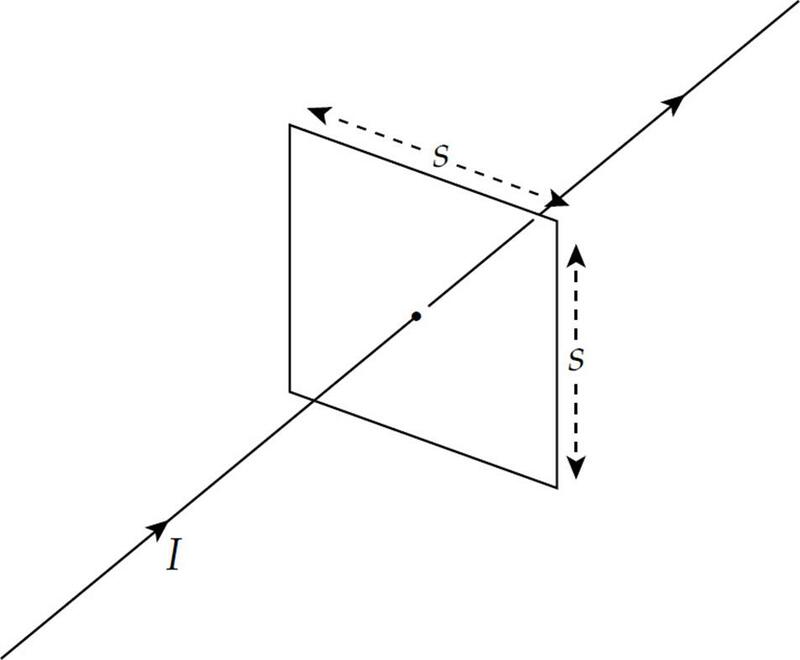 The figure below is a view down the central axis of an ideal solenoid (ideal means that the magnetic field is uniform and parallel to the axis and that no magnetic field exists outside). Surrounding the solenoid is a loop of wire. Now suppose that the current in the solenoid is increased, which increases the strength of its magnetic field. This changes the magnetic flux through the wire and induces a current (which is directed counterclockwise). 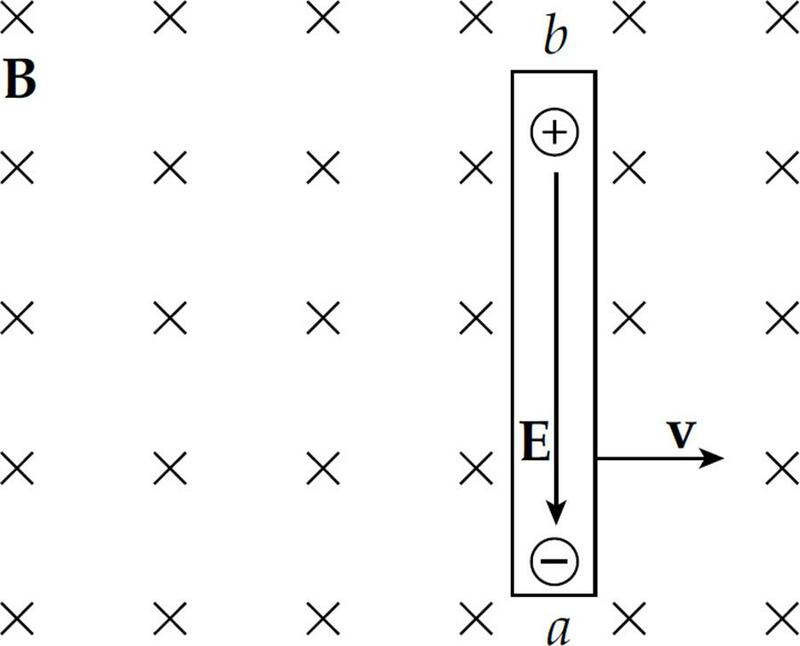 The force that pushes the charges around this wire is FE = qE; E is the induced electric field. 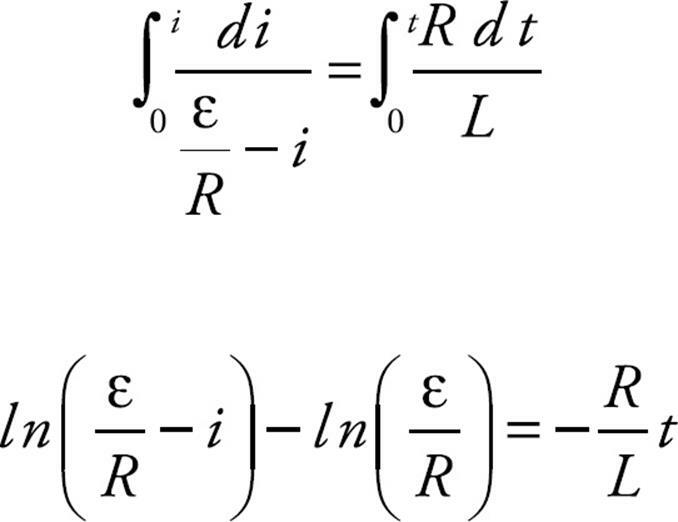 The work done on a charge q as it makes one revolution is FE times the distance around the wire, FE · 2πr = qE·(2πr). So the work per unit charge, which is the definition of emf, is equal to E(2πr). 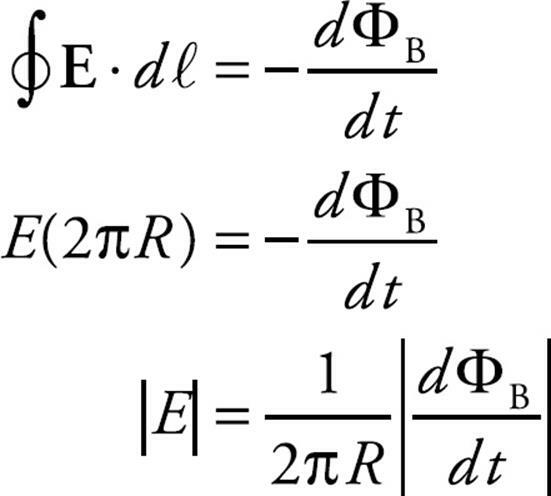 But Faraday’s law says that the emf is equal to –dΦB/dt. This is a restatement of Faraday’s law that includes the electric field, E, induced by the changing magnetic flux. 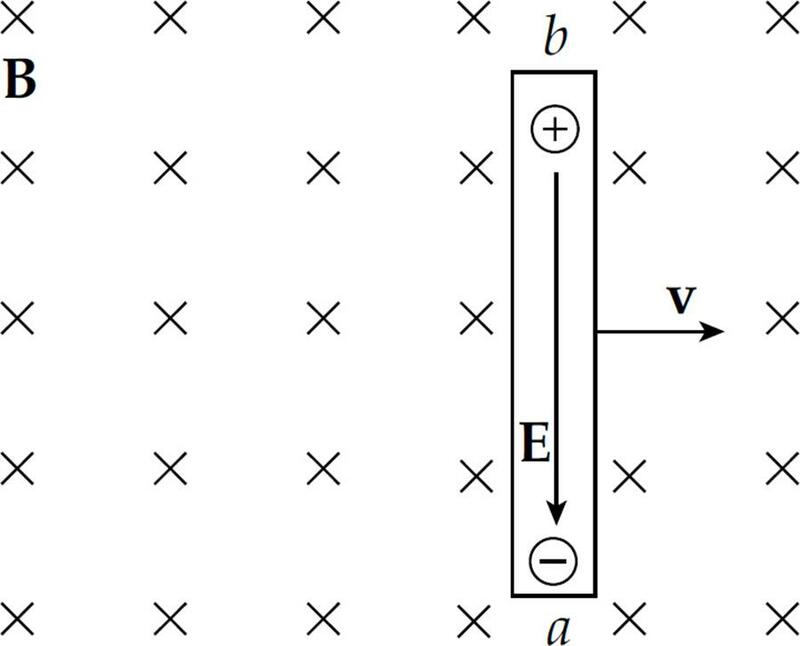 Notice that this electric field is different from the ones we studied in the previous chapters. 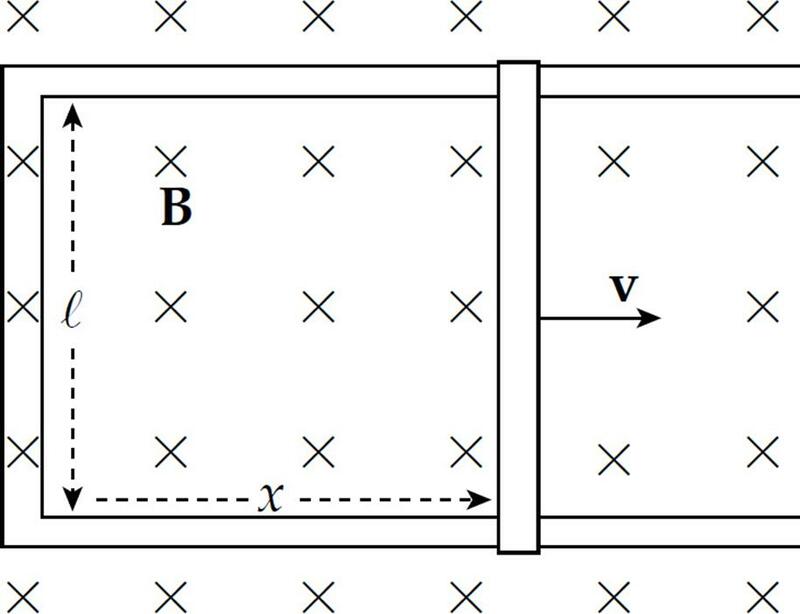 Electric fields created by stationary source charges, called electrostatic fields, are conservative, meaning that the work done by them on charges moved along closed paths is always zero. However, as we’ve just seen in the example of the solenoid above, the electric field induced by a changing magnetic flux does not share this property. The work done by Einduced on a charge as it moves around a closed path is equal to , which is not zero because dΦB/dt is not zero. 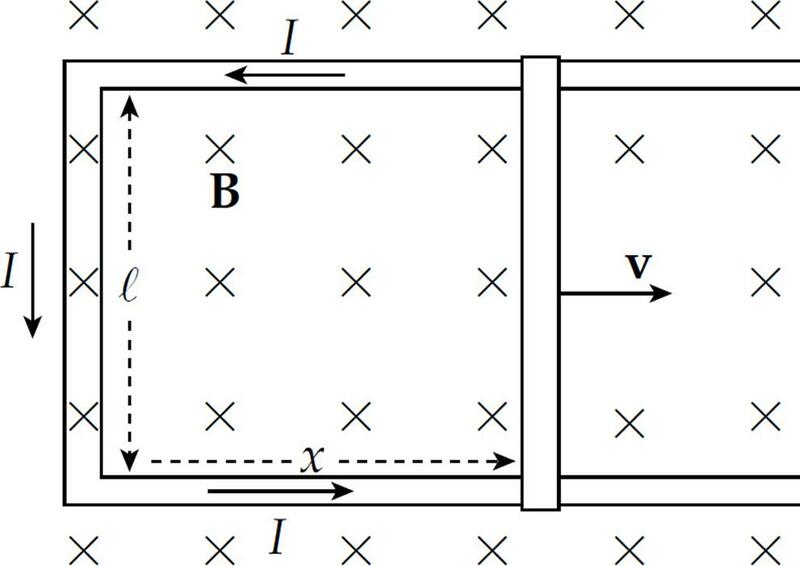 Because of this, the electric field induced by a changing magnetic flux is nonconservative. 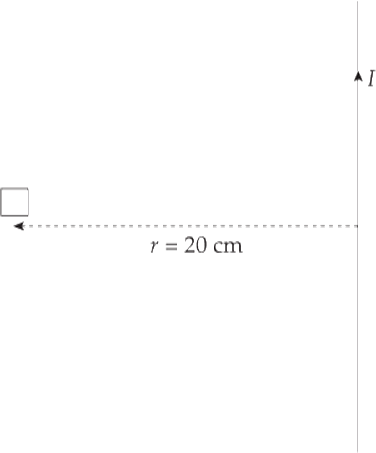 Example 7 For the situation just described, assume that the solenoid has 15,000 turns per meter and a radius of r = 2 cm. The radius of the circular loop is R = 4 cm. 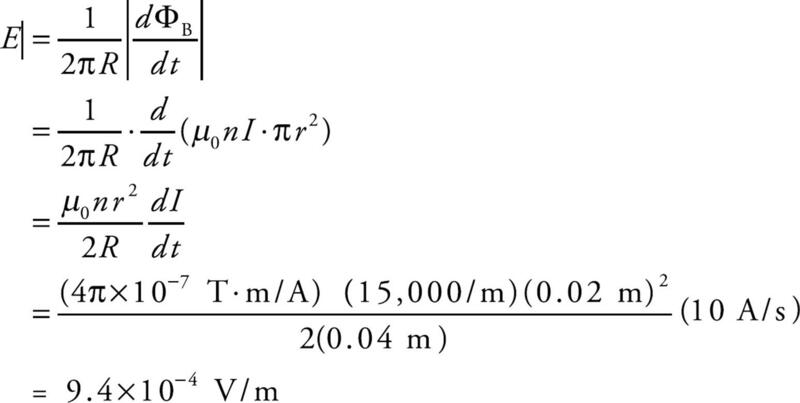 If the current in the solenoid is increased at a rate of 10 A/s, what is the magnitude of the induced electric field at each position along the circular wire? Placing a capacitor in series with a resistor and battery in an electric circuit causes the current to drop exponentially from ε/R (when the switch is closed) to zero, as charge builds up on the capacitor and causes the voltage across the capacitor to oppose the emf of the battery. A similar thing happens when an inductor is placed in series with a resistor and a source of emf in an electric circuit. 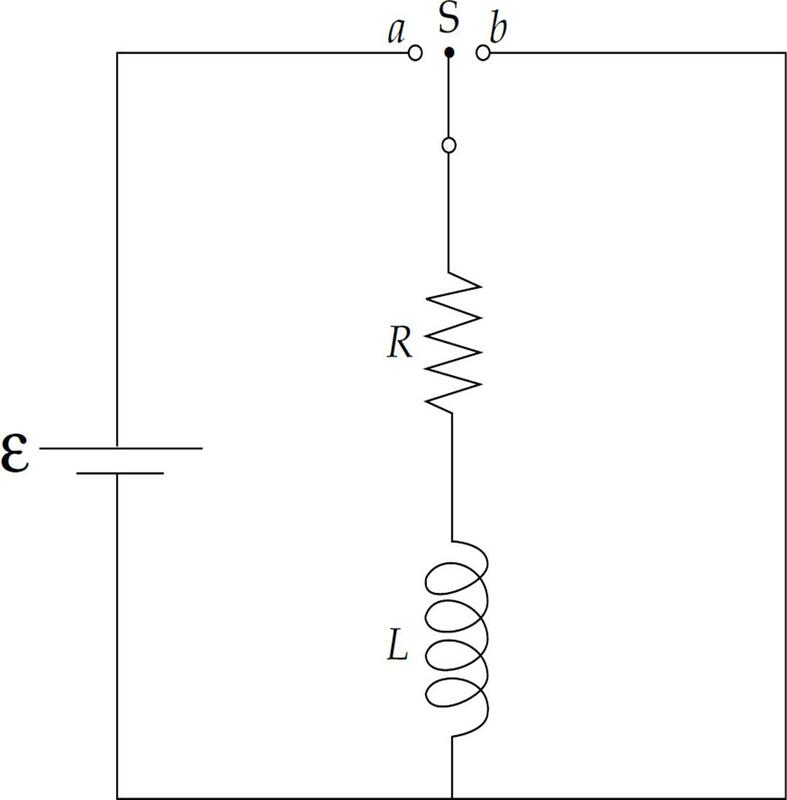 How does this coil oppose changes in current in a circuit? Well, when current exists in the coil, a magnetic field is created, and magnetic flux passes through the loops. If the current changes, then the magnetic field changes proportionately, as does the magnetic flux through the loops. But, according to Faraday’s law of induction, a changing magnetic flux induces an emf that opposes the change that produced it. In other words, the changing magnetic flux through the coil, due to the current in the coil itself, produces a self-induced emf. Since this self-induced emf opposes the change in the current that produced it, it’s also called back emf. The SI unit for inductance is the weber per ampere, which is renamed a henry (H). 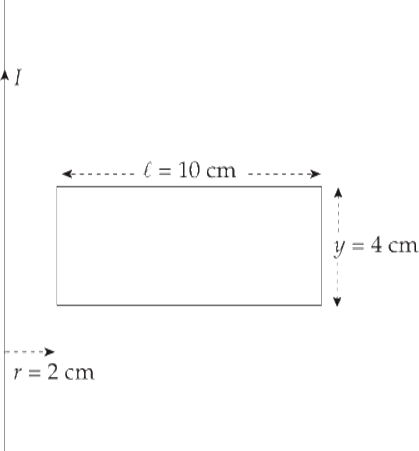 Example 8 An ideal solenoid of cross-sectional area A and length ℓ contains n turns per unit length. What is its self-inductance? 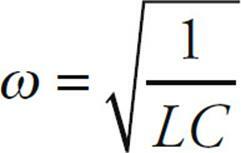 Or, in terms of the total number of turns in the solenoid, L = µ0N2A/ℓ. The self-induced emf is proportional to the rate of change of the current. The faster the current tries to change, the greater is the self-induced (back) emf. 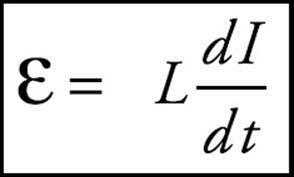 But if the current is steady, then ε = 0.
where R is the resistance and L is the inductance. We apply the method of separation of variables to solve the current in the circuit as a function of time. First we rearrange the equation so that one variable is on the left side of the equation, and the other variable is on the right side. 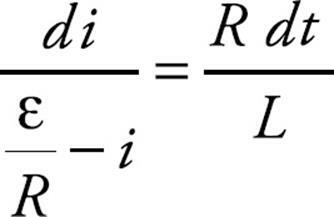 which is similar to the equation for the gradually rising charge on the plates of a capacitor in an RC circuit. Notice that for an RL circuit the current increases over time and for an RC circuit the current decreases over time. As current builds in the circuit, the source of emf provides electrical energy. Some of this energy is dissipated as heat by the resistor, and the remainder is stored in the magnetic field of the inductor. where L is the inductance of the inductor carrying a current I. Example 9 In a particular circuit, assume that ε = 12V, R = 40 Ω, and L = 5 mH. How much energy is stored in the inductor’s magnetic field when the current reaches its maximum steady-state value? A circuit is connected as shown above. (a) Determine the current through the 10 Ω resistor when the switch is open. (b) Determine the current through the 15 Ω resistor when the switch is first closed. (c) Determine the current through the 10 Ω resistor when the switch has been closed a long time. (c) After the switch has been closed a long time the inductor acts like a wire because the current is constant. Now we solve for the resistance of the parallel part of the circuit. The current leaving the battery will be the current through the 10 Ω resistor. Solve for that current using Ohm’s law. The RC circuit we looked at in Chapter 13 and the RL circuit that we just studied are similar in that they both experience an exponential increase or decrease of current. However, an LC circuit, which is a circuit that contains both an inductor and a capacitor, behaves quite differently. The following figure shows a capacitor and an inductor in a simple series circuit. Let’s assume that initially there is no current and that the capacitor is charged; at time t = 0, the switch S is closed and the circuit is complete. The presence of the inductor prevents the capacitor from discharging abruptly, so the current rises gradually and the energy in the electric field of the capacitor is transferred to energy in the magnetic field of the inductor. Once the capacitor has discharged, all the energy is in the inductor’s magnetic field. The current in the inductor (now at its maximum), delivers charge to the capacitor, but in the opposite direction from its original charge configuration. The current gradually returns to zero as the magnetic-field energy in the inductor is transformed back to electric-field energy in the capacitor. The capacitor starts to discharge again, but this time it sends current in the opposite direction. The current rises gradually, reaching a maximum value as the charge on the capacitor reaches zero. The inductor continues to deliver charge to the capacitor as the current gradually returns to zero, and it finds itself right back where it started. The circuit oscillates, and this defines one cycle of oscillation. Thus, we can infer that in the case of an inductor and capacitor in a circuit, . The angular frequency, ω, is related to the frequency of oscillation according to ω = 2πf. Example 11 Find an equation for the current in the LC circuit as a function of time. How long does it take for the circuit to complete a full oscillation? We’ll finish up this chapter with a set of four equations that embody the subject of electromagnetism. This law, first studied in Chapter 11, gives us a method for calculating electric fields and is particularly useful when the system we’re working with possesses symmetry. Another statement of this law is that there are no magnetic monopoles. If there were, a single isolated magnetic north pole would generate a magnetic field that radiates away, and an isolated magnetic south pole would generate a magnetic field that radiates inward, toward the pole. A closed surface surrounding such a magnetic charge (if one existed) would have a nonzero flux through it. No magnetic monopoles like this have ever been observed. 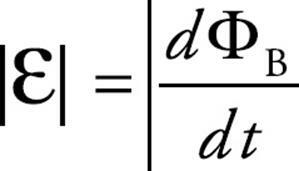 This equation is typically used to find the emf and the electric field induced by a changing magnetic flux. This shows that a changing electric field, which appears on the right-hand side of the equation [in the term µ0ε0(d ΦE/dt)], will produce a magnetic field, which appears on the left-hand side of the equation. 1. A metal rod of length L is pulled upward with constant velocity v through a uniform magnetic field B that points out of the plane of the page. 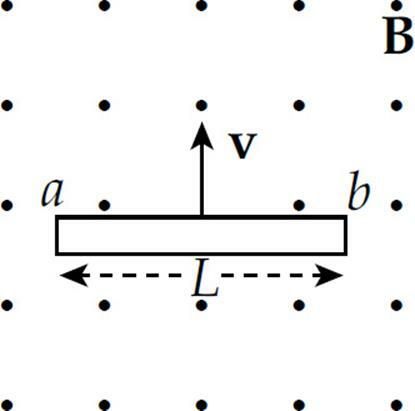 What is the potential difference between points a and b? 2. 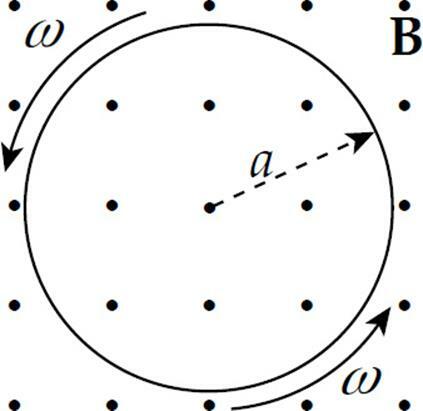 A circular disk of radius a is rotating at a constant angular speed ω in a uniform magnetic field, B, which is directed out of the plane of the page. Determine the induced emf between the center of the disk and the rim. 3. 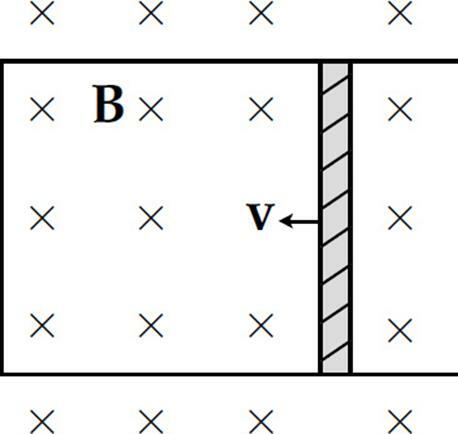 A conducting rod of length 0.2 m and resistance 10 ohms between its endpoints slides without friction along a U-shaped conductor in a uniform magnetic field B of magnitude 0.5 T perpendicular to the plane of the conductor, as shown in the diagram below. If the rod is moving with velocity v = 3 m/s to the left, what is the magnitude and direction of the current induced in the rod? 4. 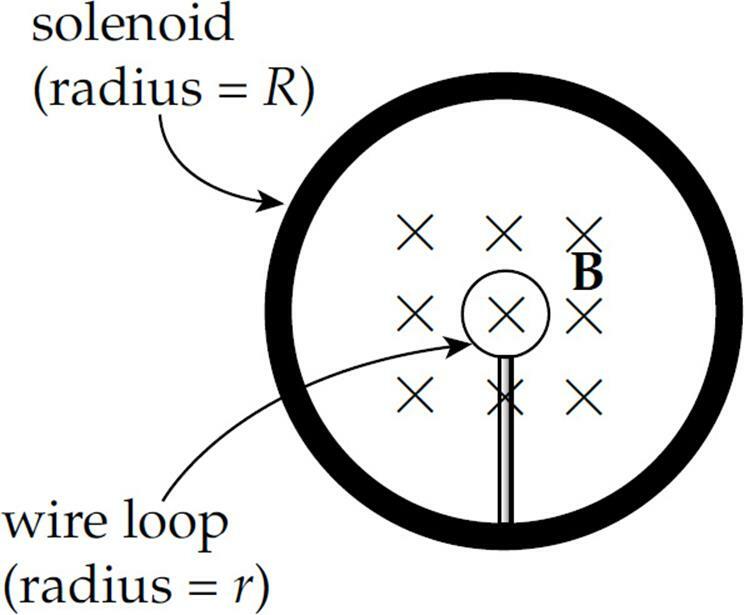 In the figure below, a small, circular loop of wire (radius r) is placed on an insulating stand inside a hollow solenoid of radius R. The solenoid has n turns per unit length and carries a current I. If the current in the solenoid is decreased at a steady rate of a amps/s, determine the induced emf, ε, and the direction of the induced current in the loop. 5. 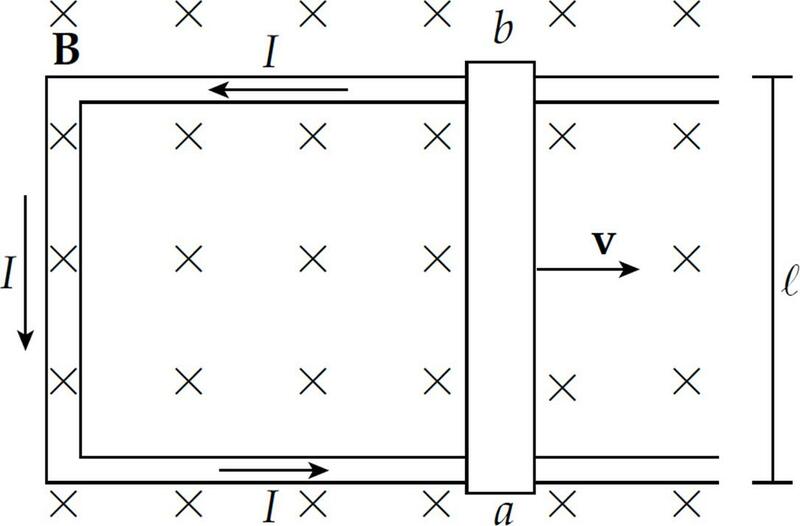 In the figure below, a permanent bar magnet is pulled upward with a constant velocity through a loop of wire. Which of the following best describes the direction(s) of the current induced in the loop (looking down on the loop from above)? 6. A square loop of wire (side length = s) surrounds a long, straight wire such that the wire passes through the center of the square. If the current in the wire is I, determine the current induced in the square loop. A circuit contains a solenoid of inductance L in series with a resistor of resistance R and a battery with terminal voltage ε. At time t = 0, a switch is closed and the circuit is completed. 7. How long does it take for the current to reach 3/4 of its maximum (steady-state) value? 8. When the current reaches its maximum value, how much energy is stored in the magnetic field of th solenoid? 9. When the current reaches its maximum value, what is the total magnetic flux through the solenoid? 10. Which one of Maxwell’s equations states that a changing electric field produces a magnetic field? 1. 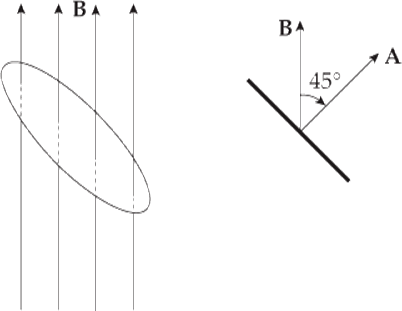 The diagram below shows two views of a metal rod of length ℓ rotating with constant angular speed ω about an axis that is in the plane of the page. The rotation takes place in a uniform magnetic field B whose direction is parallel to the angular velocity ω. 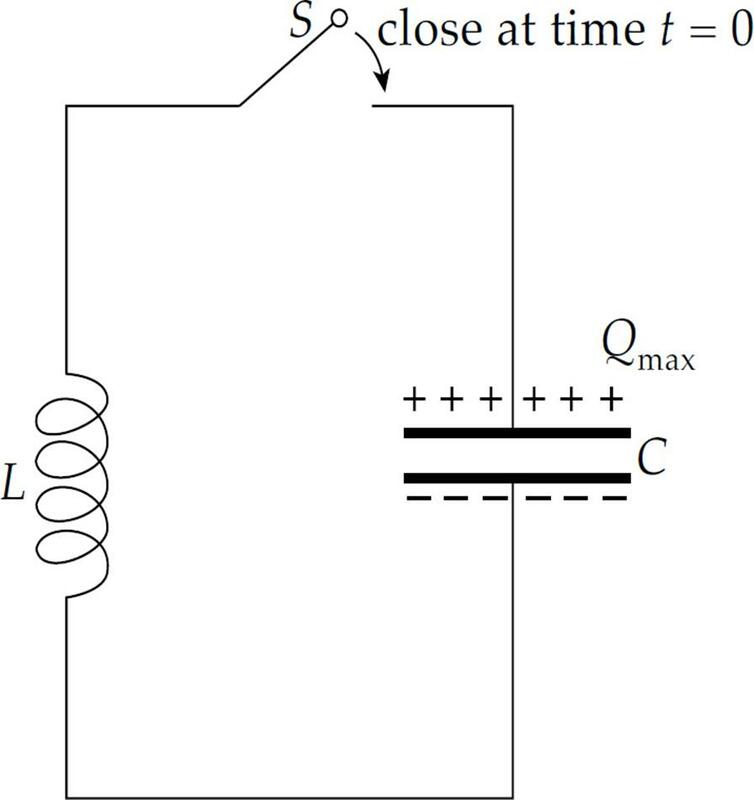 (a) What is the emf induced between the ends of the rod? 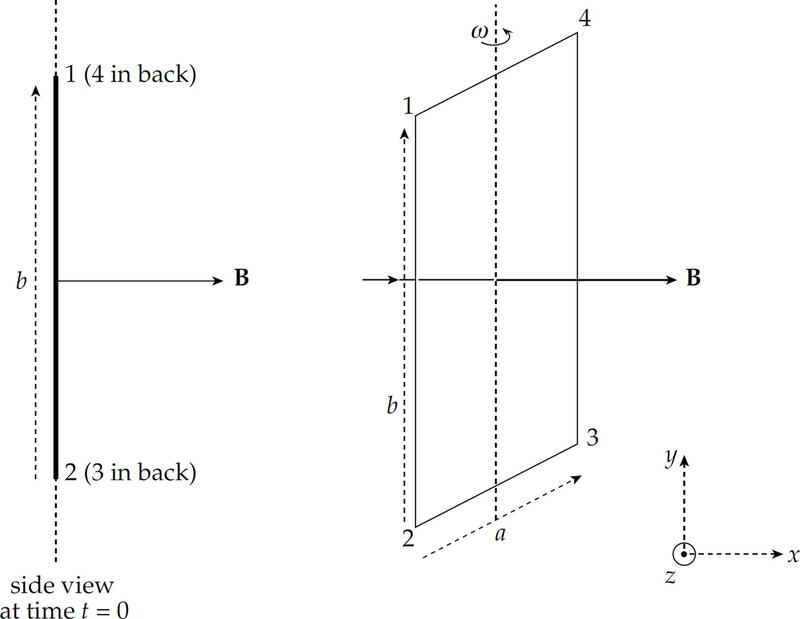 (b) What is the polarity (+ or –) of the rotating end? In the following diagram, a metal rod of length ℓ moves with constant velocity v parallel to a long, straight wire carrying a steady current I. The lower end of the rod maintains a distance of a from the straight wire. (c) What is the emf induced between the ends of the rod? (d) What is the polarity (+ or –) of the end that is farther from the straight wire? (a) Find a formula that gives the magnetic flux ΦB through the loop as a function of time, t.
(b) Find a formula that gives the emf induced in the loop as a function of time, t.
(c) If the total resistance of the loop is R, what is the current induced in the loop? (d) When ωt = π/2, is the induced current in the loop directed from Point 1 to Point 2 (–y direction) or from Point 2 to Point 1 (+y direction)? (e) Find the rate at which energy is dissipated (as joule heat) in the wires that comprise the loop, and the amount of energy dissipated per revolution. (f) Find the external torque required to keep the loop rotating at the constant angular speed ω. 3. 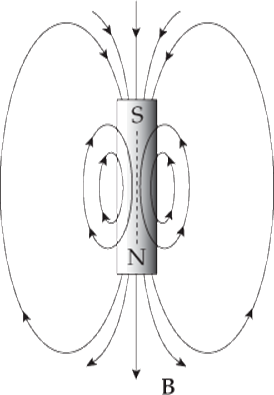 The figure below shows a toroidal solenoid of mean radius R and N total windings. 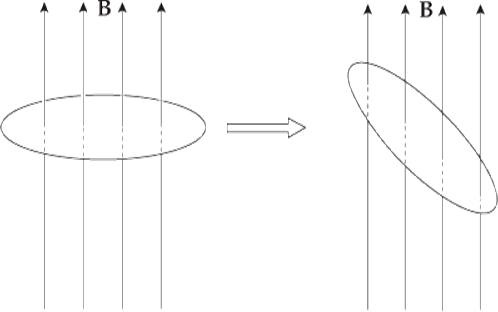 The cross-sections of the toroid are circles of radius a (which is much smaller than R, so variations in the magnetic field strength within the space enclosed by the windings may be neglected). 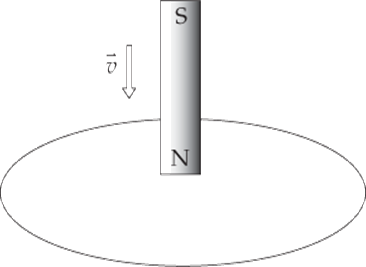 (a) Use Ampere’s law to find the magnetic field strength within the toroid. Write your answer in terms of N, I, R, and fundamental constants. Assume that the current in the toroid is varied sinusoidally according to the equation I(t) = I0 sin ωt, where I0 and ω are fixed constants. (b) Determine the emf induced in the circular wire loop. (c) Determine the electric field induced at the position of the circular wire loop. 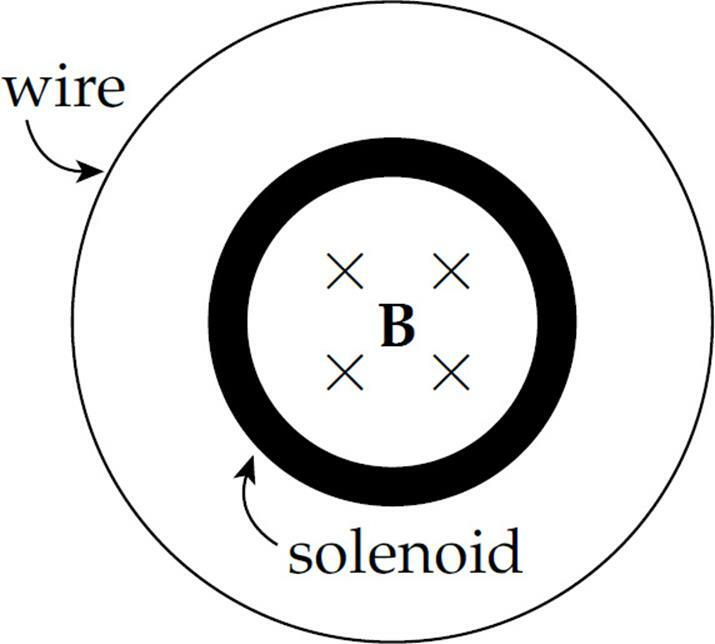 (d) What is the self-inductance of the toroidal solenoid? 4. A circuit is connected as shown above. The switch S is initially open. Then it is moved to position A. (a) Determine the current in the circuit immediately after the switch is closed. (b) Determine the current in the circuit a long time after the switch is closed. Some time after the steady state situation has been reached, the switch is moved almost instantaneously from position A to position B. (c) Determine the current through the 5 Ω resistor immediately after the switch has been moved. (d) Determine the potential difference across the inductor immediately after the switch has been closed. A conducting bar with a component of its velocity perpendicular to the magnetic field will have an induced emf across its length. 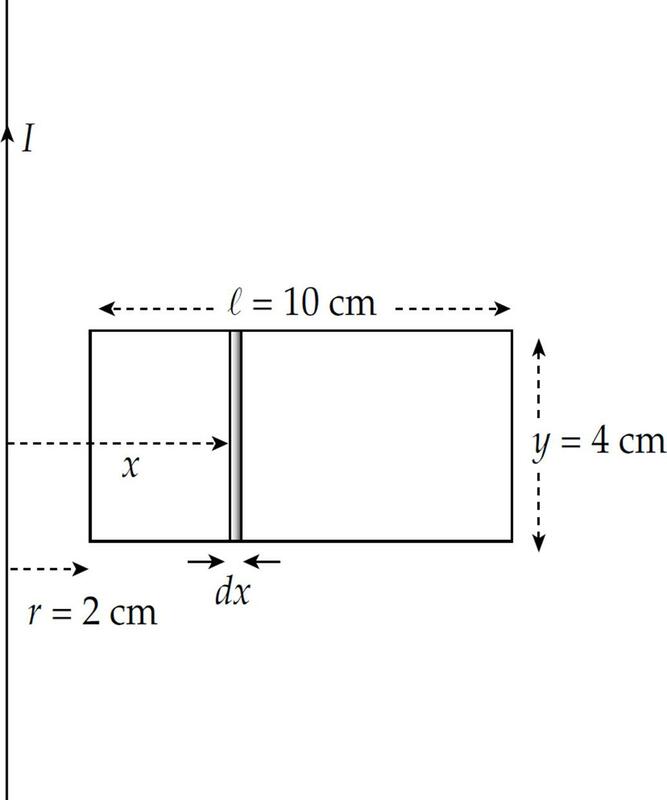 This is due to the fact that each charge in the bar will have a force on it and the charges will separate until the magnetic force and the electric force caused by the attraction of the separate charges are equal. The motional emf is given by the equation ε = Bℓv. The first part of the equation is used to calculate the induced emf from a changing magnetic flux and the last part can be used to calculate the induced electric field created in the conductor. The last part of the equation comes from , where the potential difference is replaced with the emf. Lenz’s Law is used to determine the direction of the induced current and explains the negative sign in Faraday’s Law. The induced current will flow in the direction that opposes the change in the magnetic flux that produced it. An inductor is an electric device that has a self-induced emf that opposes the change in the current in the circuit. 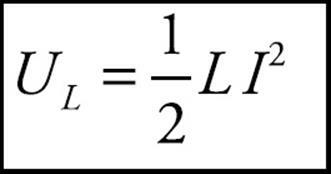 The inductance, L, is given by the equation . The emf of an inductor is , where the negative sign indicates the emf is opposing the change in the current through the circuit. The energy stored in the magnetic field on an inductor is . When a switch is closed in a typical RL circuit, the current increases exponentially over time. This is due to the fact that the inductor opposes the change in the current so will not let it increase from zero to a maximum instantaneously. 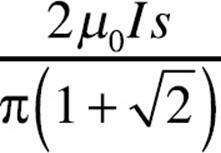 The equation for the current is , where the time constant is now given by . When a switch is closed in a typical LC circuit the energy oscillates between being stored in the electric field of the capacitor and the magnetic field of the inductor. The frequency of the oscillation is and the charge of the plate is given by .